Another great adventure is coming as we proudly bring to you this new Indiana Jones POP vinyl figure. Dr. Henry Walton “Indiana” Jones Jr. was known for lots of great expeditions looking for historical artifacts and investigating mysteries. And since the very first appearance, people have loved the figure of a cool archeologist called “Jones” who puts himself into life and death situations just to do his job. The POP figure was after the appearance of Jones in “Raiders of the Lost Ark” (first Indiana Jones movie franchise). Of course together with his signature look (with the cowboy hat) and his rope (well he uses the rope always in very unusual ways). His blade on his right hand and holding an artifact on his left hand. Indiana Jones franchises has influenced a lot to many people. One of the proof is the mobile game, “temple run” which is after one of Jones’ expeditions. No updates about a remake or a new franchise in the new future is available. But if there will be, it’ll be so much adventure. 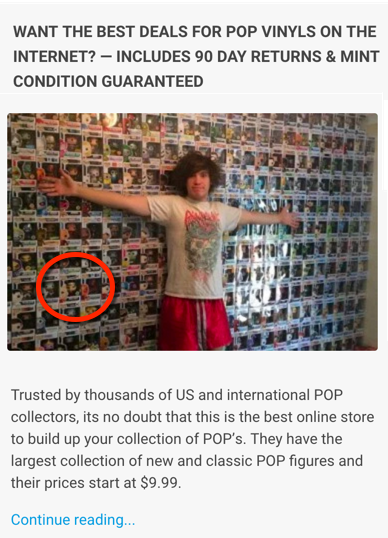 You’ll surely like the POP figure. It will remind you some of the cool stuffs on the movie. Bring out your explorer side and let this Indiana Jones POP vinyl figure to be part of your collection.